Case Study – !Bem-vinda ao Brasil! What are the benefits of using a conveyor system for metal detection? Conveyor Systems – What are they? 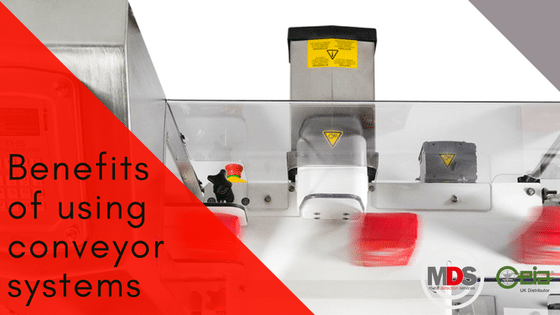 When including metal detection into product lines the metal detector is often found towards the end, either as the product is being packaged or immediately after, depending on the type of product. The CEIA equipment has multiple input/ output connections, so electrical integration into the line for control interface options with the other equipment is straightforward. All CEIA metal detectors conform to and actually exceed all Supermarket and BRC Codes of Practise and compliance requirements. Product lines can run continuously 24 hours a day, ensuring more product can be manufactured in a shorter period of time. Compact design so metal detectors can be added to the product line without much interference or additional space needed. They can also be retro fitted to existing lines easily. Higher volumes of product can be checked continuously. Easy to clean and service, leading to minimal maintenance down time. Fail-safe operation means contaminants will not pass through the production line, even when the system is deactivated or there is an electrical power supply interruption. Using multi-spectrum technology that autolearns means that multiple products can be inspected by one device. Most CEIA units are able to work with conveyor systems, call our team on 0161 286 8755 to talk to a member of our team who can advise on the most suitable system for your line.